Are you ready to double up your Independence Day celebrations? Then gear up, to shop online endlessly at Yayvo Azadi Sale. 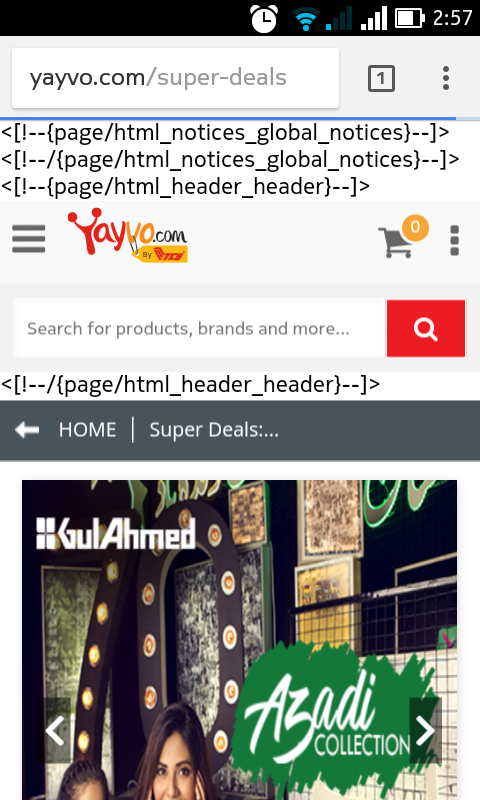 On the 70th Independence Day of Pakistan, Yayvo.com is offering up to 70% discounts, with additional discounts up to 30% with payment partners. After Shopping Day, Gadgets Mania and #WhatThePrice, Yayvo is all set to please online shoppers with its exclusive campaign, Azaadi Sale. The campaign will start on 13 August 2017 at 3:00 pm and will end on the midnight of 14 August 2017). If you’re eager to shop for the hottest bargains, now is your chance. Make sure to visit Yayvo.com to snag all your desired products. What can you get on this Independence Day with Yayvo Azaadi Sale? You can avail flat 30% discount with Meezan Bank cards (maximum discount per transaction is Rs 1,000) and flat 20% discount with Silk Bank cards (maximum discount per transaction is Rs 1,000). Furthermore, through JazzCash payment option, you can get discounts of up to 10% off with a maximum discount per transaction of Rs 2,000. It’s that time of the year where you can upgrade your lifestyle and shop for all kinds of products including smartphones, gadgets, household electronic items and appliances at unbelievable prices. Don’t miss out on epic discounts on garments and accessories from Pakistan’s leading fashion brands. How to take Advantage of Yayvo Azaadi Sale? Now that you know what to expect from this extravagant sale, let us tell you a little secret. Here’s how to make the most of Yayvo Azaadi Sale. Simply visit Yayvo.com during Flash Deals timings to get your hands on selected items marked down at up to 70% off! So what are you waiting for? Visit Yayvo.com/14-august-sale now! All you have to do is subscribe to at Yayvo.com to stay updated with all the upcoming discounts for the Independence Day campaign. Happy 70th Independence Day from Yayvo.com. Ok Did you take Guarantee of Original Product ??? ap lagta hain inki ami hain ju unki waqalat krny a gaye hu wo mmera our unka masla hai ap apni tang kuyn pasa rahy hu.